What is the general processing of aluminum alloy milling cutter? Processing aluminum alloy generally with a 3-edge aluminum milling cutter, followed by the processing of the difference, it is likely to use 2 blade head knife or 4 blades flat knife. But it is recommended that in most cases, you can use 3-blade flat end mill. The number of edges is generally 3 blade, the material generally chooses YG class carbide, which can reduce the chemical affinity of the tool and aluminum alloy. General CNC tool brands have processed aluminum alloy cutter series, such as D brand 3P series, Switzerland F brand AL series. 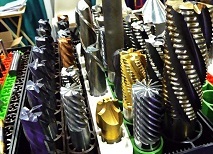 High-speed steel and aluminum milling cutter are sharper, but also a very good processing of aluminum. Processing of ordinary aluminum alloy can generally choose high-speed large feed milling. Followed by as much as possible to choose a larger rake angle, increase the bitter space, reduce the phenomenon of stick knife. If it is finished aluminum alloy, you can not use the water cutting fluid, to avoid the formation of small holes in the processing surface, generally, can be used kerosene or diesel oil to do the processing of cutting fluid. Processing of aluminum milling cutter cutting speed, due to milling cutter material and parameters, processing technology is different. 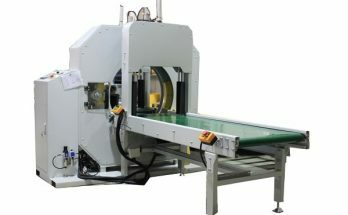 Specific cutting parameters can refer to the manufacturer to the cutting parameters based on the processing.